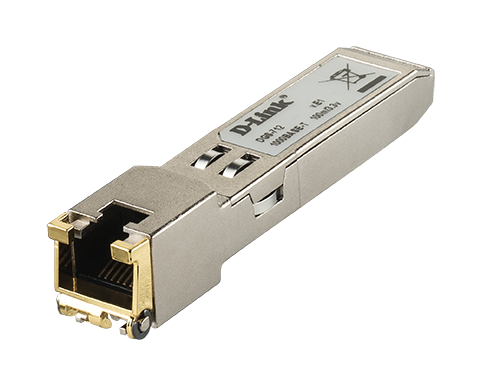 D-Links DGS-712 1000BASE-T Copper Small Form Pluggable (SFP) transceiver is based on the SFP Multi Source Agreement. It is compatible with the Gigabit Ethernet and 1000BASE-T standards as specified in IEEE 802.3z and 802.3ab. The DGS-712 plugs into any standard SFP interface allowing for 1000Base-T Gigabit transmission over standard Category 5 twisted pair copper.